✅ Verified Review | Another flight with Bulgaria Air from Sofia to Varna. Service in Sofia is always nice. Only noriority fast track, but that's OK. The Bulgaria Air lounge was perfect, as well as the flight. The food was nice, the crew as well. Seat was comfortable. Only two of us in Business Class, which was very good. Never again I will book Bulgaria Air. We booked in October 2015 7 tickets to fly the 1st June 2016 to Sofia for a citytrip. They already changed a few times the hours of the flight. The return was to be in the evening and now they changed it to 6amin the morning. And last week they changed the depart from 9am in the morning to 20.25 in the evening. So we lose 2 days of our city trip. Never again! 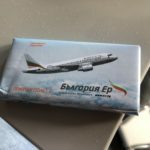 ✅ Verified Review | I flew Bulgaria Air economy class from Varna to Sofia on an A319. Overall the flight was good. The food was okay, the crew was friendly. The plane wasn't full, so most of the passengers had three seats only for themselves, and the seat was comfortable. "trip itself was very nice"
We booked a ski vacation to Bulgaria and during the online booking at the official Bulgaria Air website we specifically ckecked the box indicating we would bring skis with us. On the way from Amsterdam to Sofia there was no problem to check in our skis. On the way back from Sofia however the skis were refused. We needed a special document and had to pay an additional €30 - which we could obtain somewhere at the airport. If we would have followed that procedure we would have missed our flight (huge lines for check-in which costed us already 40 minutes) so we decided to leave the skis behind at the airport. It is amazing how they treat their customers. Complaining is useless, they just keep on repeating their mantra of rules. Ridiculous that ckecking in skis in Amsterdam is no problem but on the way back they are simply refused. Don't fly this airline if you want to bring something special or want be treated as a human being. We booked the flight with Bulgaria Air because it was 50% less than Austrian Airlines, however, we were surprised by the fact that they use modern planes (the Embraer 90 was built in 2012), given some food (Sandwich, Chocolate, a bottle of water on the seat and one additional drink during the flight) and by the friendly cabin. The announcements by the crew were in Bulgarian and English and the English from the cabin crew and pilot was quite good. "how miserable flight attendants were"
Flew from Sofia to LHR with Bulgaria Air. This route is served by Easyjet, Wizz, British Airways and Bulgaria Air. Having tried the rest this company is by far the worst of the lot. Check in attendants were pleasant and efficient. The gate however was from 6 which means that you wait downstairs for boarding where there is no wifi. We were bussed out to a rather dated and tatty A320. The seats and interior desperate for a refit. No briefings were given on use of emergency exit doors. There was no cross checking of doors being properly locked. and no greeting on arrival. We taxied out behind British Airways that departs at the same time. The announcements were not audible due to poor pa system and very poor English. Once airborne the Flight attendants proceeded with the food service. One roll which was out of date, and could have been used as a tennis ball. And one piece of chocolate. The food was literally chucked at you. I was offered wine which was terrible. No entertainment at all. The main thing that stuck with me however was how miserable the flight attendants were, they were not only rude, but just didn't smile the entire time. When I compare this airline with British Airways, who operate on the same route and serve a proper meal, with decent wine, and nice friendly flight attendants. Even Wizz and Easyjet are better than this miserable bunch. "suitcase was left in Rome"
My suitcase was left in Rome by Bulgaria Air. When I asked about how to get it to Sofia, I was informed it was not their fault and I needed to call them to find out when my suitcase was in Sofia. The phone number I received was never answered, and nobody answered my e-mails. I went back to the airport and I was told, rudely, that it was not their fault and they would bring my suitcase home. My suitcase arrived from Rome but was never delivered to my address and nobody called me with information. Next day, I drove again to the airport after trying to reach them by e-mail and phone, receiving no answer. My suitcase was there but I had to prove, through many documents, who I was. All this in a very rude manner, as if I was interrupting their work and was asking for something extraordinary. The whole time I was treated as if I had no right to ask for my suitcase. "would fly with them again"
The staff at the Bulgaria Air office in Sofia, at the airport and onboard the flight were very helpful and friendly. The cabin service was excellent. My wife is a bit scared of flying and the flight was very smooth and well managed. I would fly with them again. 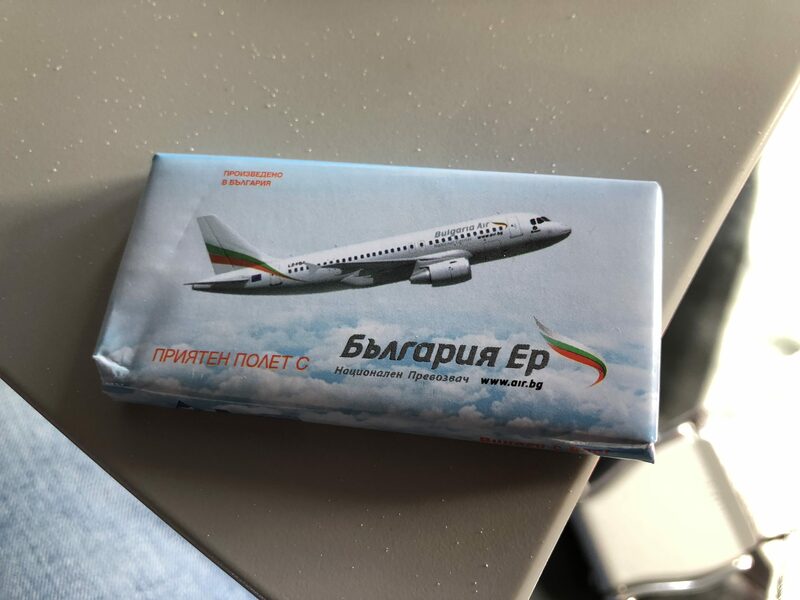 Flew last week from Vienna to Sofia in Economy and was a lot more satisfied than last time - the aircraft was cleaner and better maintained, cabin crew were a lot more attentive, and the catering has slightly improved (the sandwich accompanied by the chocolate). On-time departure and landing. The cost of a one-way ticket was €130, which I found perfect! The plane was fully booked in Economy, whereas Business class was almost empty.